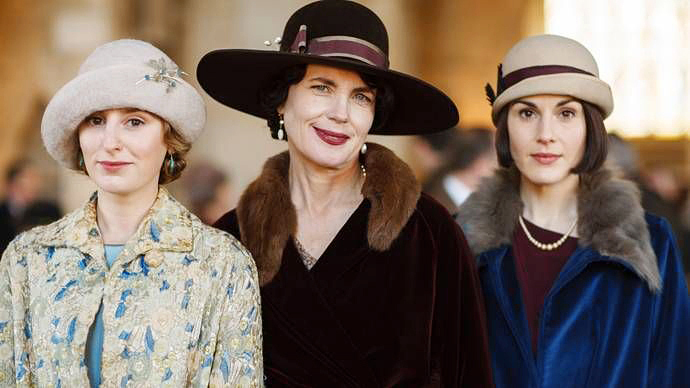 Last Sunday we saw the last ever episode in the main series of Downton Abbey (sad face!). We do however, have the Christmas Special to look forward to before we have to say goodbye forever. 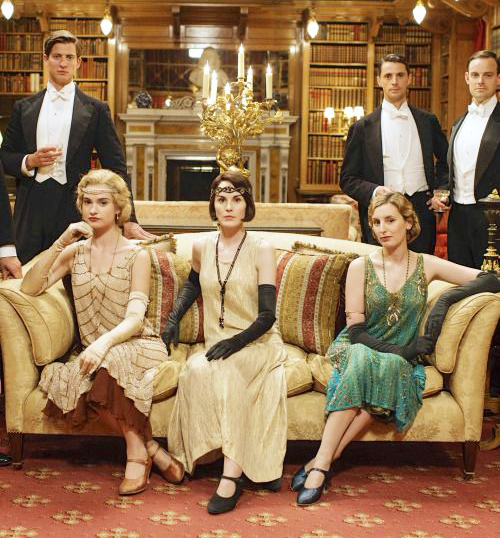 Each year I have always looked forward to not only the storylines, but the fabulous costumes and enjoyed watching the lavish period fashion evolve from edwardian to the roaring twenties over the course of the seasons, which span from 1912-1925. I thought I would share with you some of my favourite costumes from the past 6 series. Mary: I always thought of Mary's style as quite severe and masculine, probably to reflect her personality. She tends to wear mainly monochrome and beige tones with the occasional splash of blue or dark red. I've picked out some of my favourite outfits of hers, I particularly love this blue furred trimmed coat. Edith: They originally started dressing her character quite dowdy compared to the other two, keeping in with the 'poor Edith' theme I suppose. 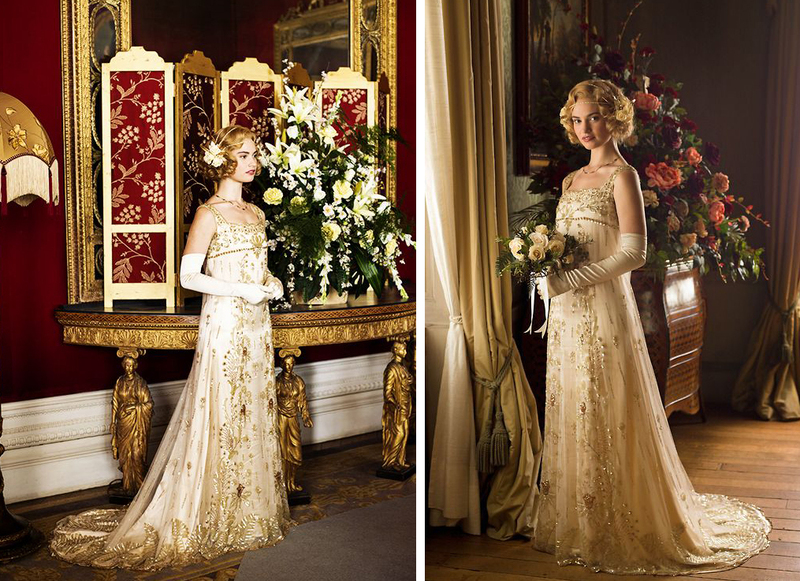 But around about series 4, during the 20's era, she came into her own with her style. 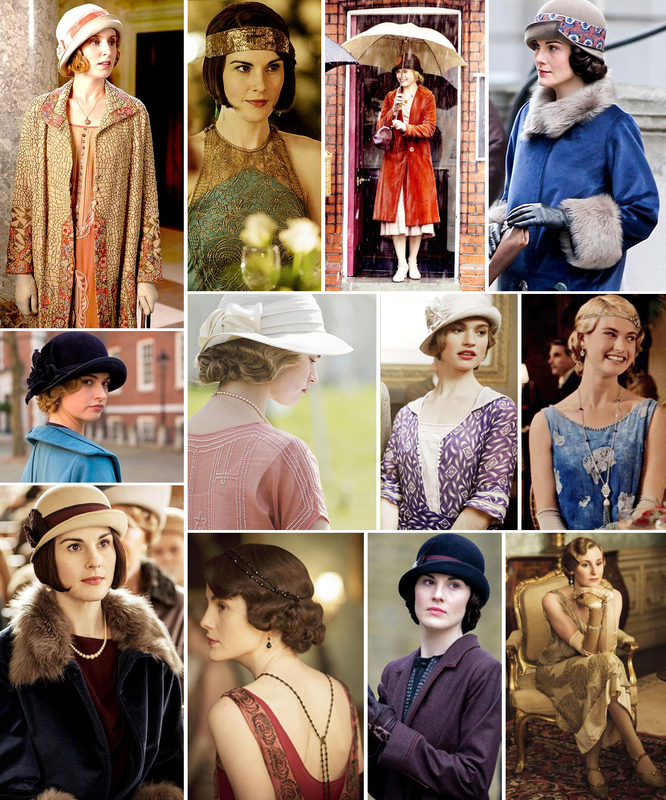 She wears more colour than Mary and really suits the 20's flapper dresses, cloche hats, head scarfs and her beautiful selection of coats. 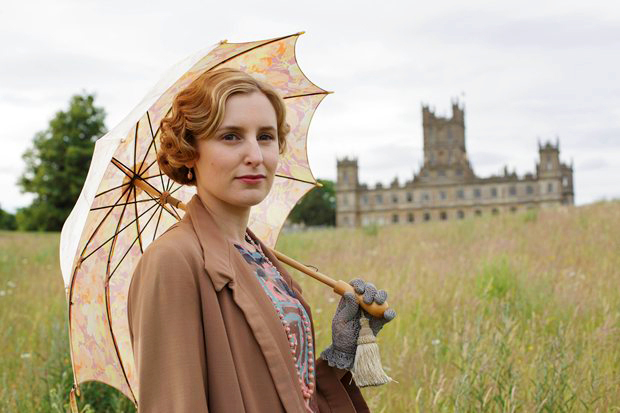 Some of my favourite Downton costumes have been from Edith's wardrobe. Sybil: Sybil, being the youngest, had a freer more youthful style compared to Mary and Edith. Who can forget her coming in wearing those harem pants at the end of the first series, much to her family's shock! I really wish we'd been able to see her style evolve into the 20's - RIP Sybil! Rose: In a similar way to Sybil, Rose has a free spirited nature. I see Rose as being a real little fashionista, following trends and always wanting to have new pieces in her rather enviable wardrobe! I have been particularly taken with some of her flapper dresses and beaded headbands. I always thought her clothes looked more expensive then the others and her outfits have been some of my absolute favourites from the series! Her wedding dress and bridal look I still swoon over! 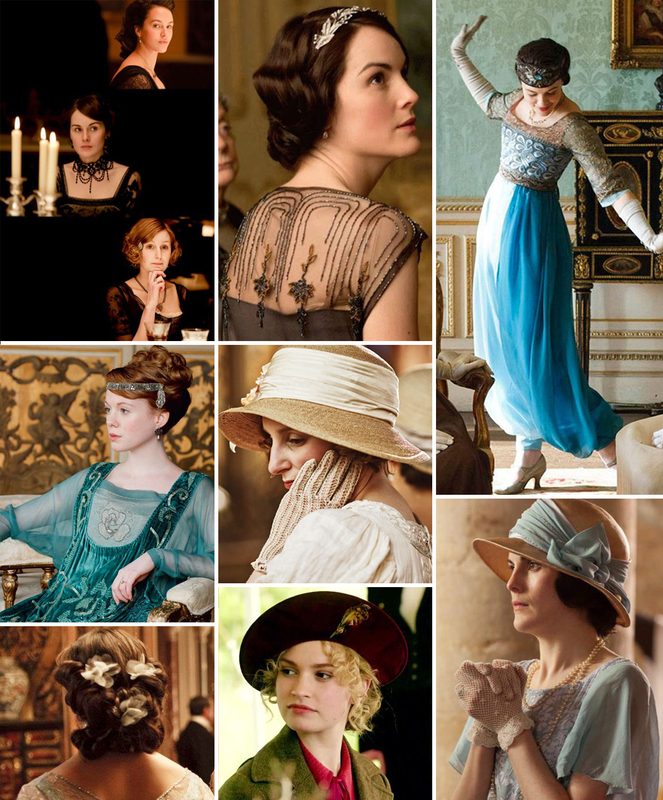 Edwardian Era: Series 1-2 Showcasing elaborate up dos, muted colours, strings of pearls and long sleeves. 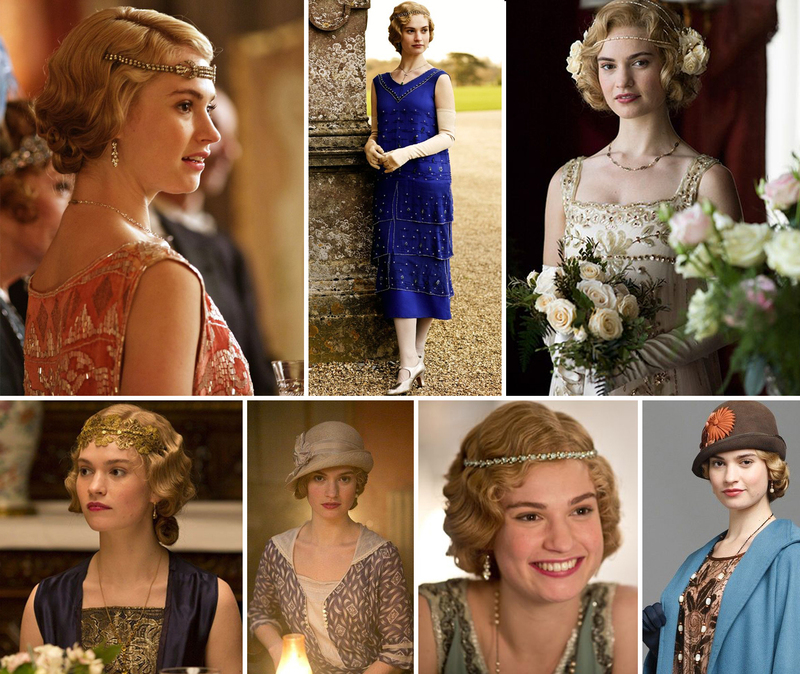 The Twenties: Series 3-6 Introducing brighter colours such as oranges, sage greens, cobalt blues and purples, drop waists and higher hemlines, plus a wonderful array of hats & beaded headbands .